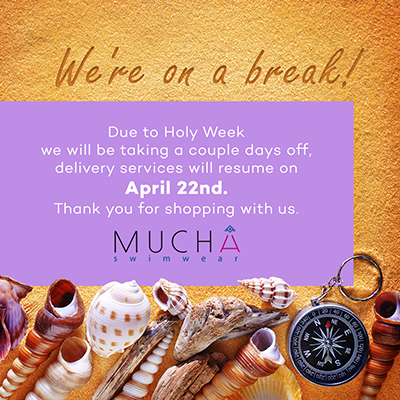 Muchá is a 100% Guatemalan company whose main purpose is to share our culture through swimwear trunks adaptable to a modern stylish life. Many Guatemalan cultural elements are adapted and reinvented by local artists to create pieces of art in each trunk. Muchá was founded in 2014 by a Guatemalan entrepreneurial woman trying to share her love for local culture, art and the sea. She was born in this amazing country surrounded by two oceans and embraced by thousands of years of history; and she thought the best way to let the world know about any culture, is to wear it. So she decided that sharing Guatemalan culture through a swimwear trunk in an adaptable way of a modern life combined with her strongest passions was the best idea. The word Muchá refers to a group of people (Friends, family, etc.). In one single word, you create a strong bond that leaves no space to any kind of discrimination, including religious, racial, gender, etc. Guatemala is Muchá!